As we grow older, our crystalline lens experiences a loss of elasticity and has trouble adapting to different sight distances. As this is a gradual loss, sometimes it takes a little while until we realize that we have difficulty in focusing on things. This change in our vision is called presbyopia. 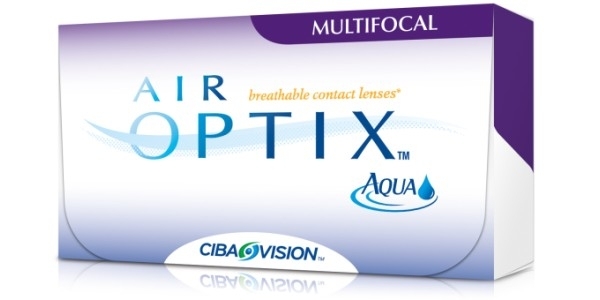 Monthly contact lenses AIR OPTIX® AQUA Multifocal correct this visual condition. 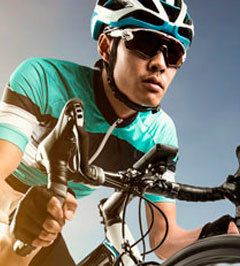 AIR OPTIX® AQUA Multifocal's design naturally adapts to your eye, enabling a constantly perfect vision at any distance. 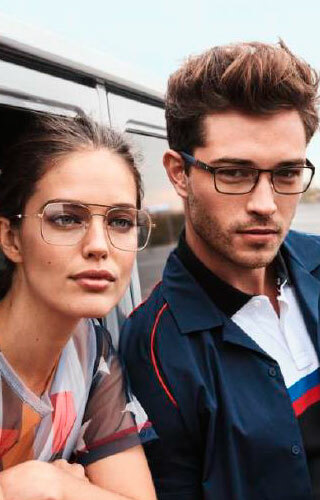 These bifocal lenses also allow smooth and natural transitions from the furthest to the nearest distance. 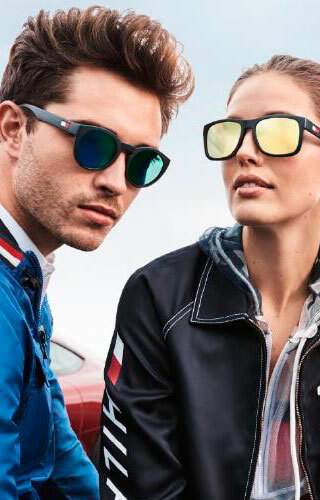 Their unique ultra-smooth surface technology creates a protective and deposits-resistant layer, preventing eye infections and irritations. BENEFITS Clear vision at any distance, no deposits, fast adaptation. What is the right type of contact lens for you? Your optometrist or ophthalmologist can recommend the brand, prescription and measurements of the contact lenses that best suit your eyes. Once you know the type of lens you need, you can purchase it through Visual-Click. What information do I need to know in order to make the right choice of contact lens? 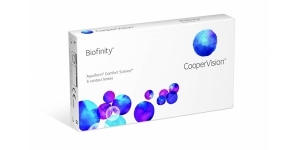 The brand and model of contacts that have been recommended for you. -20D to +20D in increments of 0.25D. Negative values (-), ranging from -0.25D to -20D, indicate the strength of the lenses necessary to correct myopia (nearsightedness). Positive values (+), ranging from +0.25D to +20D, indicate the strength of the lenses necessary to correct hyperopia (farsightedness). A value of 0.00D indicates that the contact lenses are non-corrective. Base curve (BC) refers to the curve along the inner surface of the contact lens and is measured in millimetres (mm). BC values usually range from 6.00mm to 10.00mm. Diameter (DIA) refers to the diameter or size of the contact lens in millimetres (mm). DIA values range from 10.00mm to 15.00mm. Cylinder (CYL) is a measurement in dioptres (D) of the cylindrical power of a toric contact lens which corrects for astigmatism. CYL values usually range between -0.25D and -9.00D. 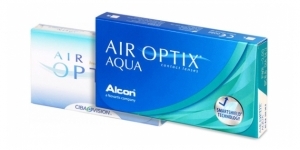 Axis (AXIS) is a measurement used specifically for toric contact lenses (which correct for astigmatism). It indicates the orientation of the axis of the cylindrical lens. The measurement, in degrees, may range between 0° and 180°. Addition (ADD) is a measurement, in dioptres (D), used for multifocal contact lenses which correct presbyopia. ADD values usually range from +1.00D to +3.00D. How you care for your contact lenses will depend on the brand and type used. Check carefully the wearing and replacement schedules for your lenses. Some contact lenses, for instance, are manufactured for both daily and extended use; however, the frequency with which these lenses must be replaced depend on the specific type use they are given. For this reason as well as others, it is very important to closely follow the instructions given by your optometrist or ophthalmologist. 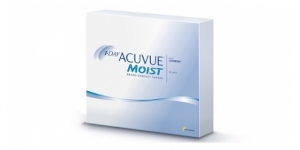 Most contact lenses require a daily care routine of cleaning, rinsing and storing with liquid solutions. 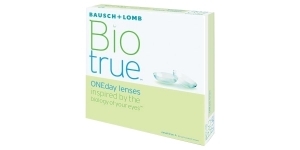 Other contacts, however, such as daily disposable lenses, do not require maintenance since they are discarded at the end of the day. Ask your doctor if your contact lenses require maintenance and, if so, about the proper steps to follow and the best liquid solution for them. 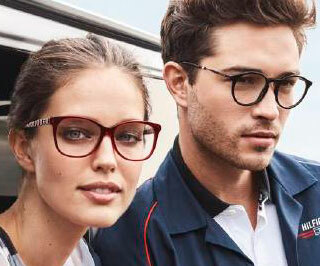 What are some of the most common vision problems corrected by prescription eyewear? Myopia: Poor vision of objects at a distance, or nearsightedness, requiring standard contact lenses. When measured, the spherical power in the lens prescription should read anywhere between the negative values of -0.25D and -20.00D. Hyperopia: Poor vision of objects close up, or farsightedness, requiring standard contact lenses. When measured, the spherical power in the lens prescription should read anywhere between the positive values of +0.25D and +20.00D. Astigmatism: A condition characterized by an irregularly shaped cornea resulting in blurry or double vision. Astigmatism can be corrected with toric contact lenses. Presbyopia: Tired vision, deteriorated ability to focus on near objects. Presbyopia can be corrected with multifocal contact lenses. What precautions should I take when using contacts lenses? Your optometrist or ophthalmologist will prescribe you the contact lenses which best correct your vision, advising you as well on models and brands. These indications are unique to you and your particular condition. 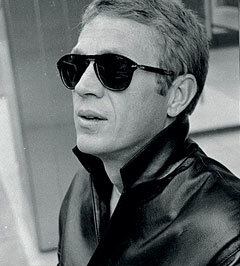 For this reason, your contact lenses are designed and meant to be worn BY ONLY YOU and NOBODY ELSE. Additionally, the sharing of contact lenses can cause serious eye infections and should never be done under any circumstances. If you, at any time, feel prolonged discomfort, pain, irritation or dryness, discontinue use of your contact lenses and consult with your eye care physician.